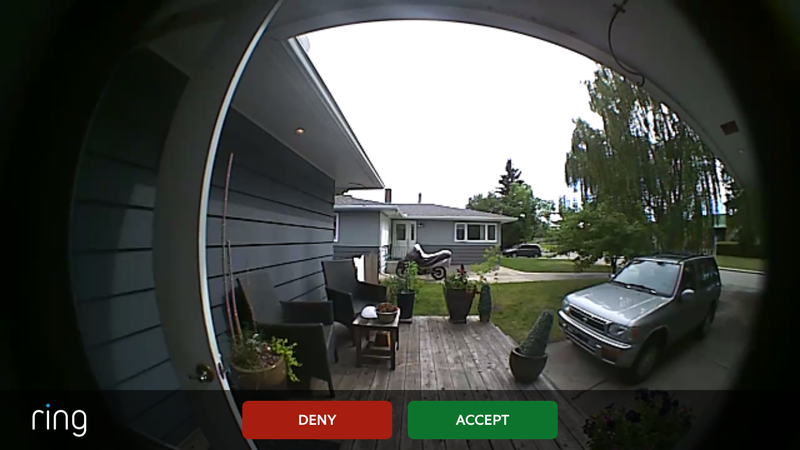 I recently had a chance to test out a Ring video doorbell. A coworker had tipped me off to the product, as he’d just ordered two, and was in love. After testing out numerous gadgets recently that connect to Wi-Fi, and require you to have an account, and do your own installation, I was a bit apprehensive about this one. I’ve found a lot of new gadget releases to be quite time-consuming, tedious, and buggy to set up. Not so with the Ring. I was blown away, and minutes after downloading the app, my account was set up and ready to go. Then it was onto installation. 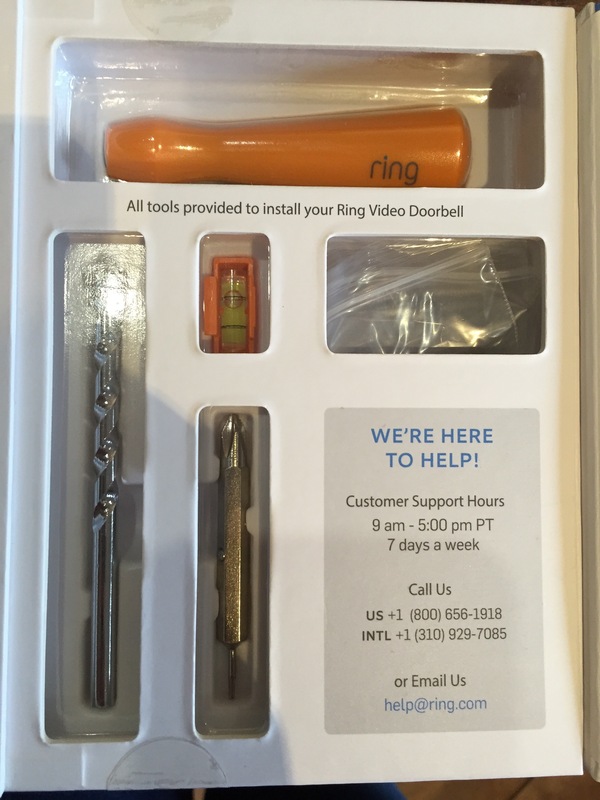 I love that the Ring video doorbell comes in a kit complete with absolutely everything you need to install it yourself, including screws, screwdriver, and a tiny little level. That was absolutely brilliant, as I was not looking forward to have to rifle through my husband’s tools to find what I needed. I watched the video they have at the ready for you on their app to get an idea of what to expect with installation. The video was short, and easy to follow, and made the installation seem super easy, which it was. In less than 10 minutes, I had an account set up and the video doorbell affixed to the front of my house already to go. I pressed the button to test it out, and it worked perfectly from the first try. When pushed, the doorbell will send an alert to your smart phone, and show you who is at your door. From there, you can decide if you want to engage in conversation with them, or ignore. The HD video picture is super crisp and clear and gives you a very good view of who is there. A recent new addition by Ring, cloud storage, also means that you can get access to images of who rang your doorbell, even if you aren’t by your phone to monitor the alert. You might be wondering how you avoid having your fancy new expensive video doorbell stolen. Good question, so was I. The Ring doorbell comes with special security screws, which require a specialized tiny screwdriver. Without the tiny screwdriver to free the unit, the video doorbell is securely bolted to your wall, and a thief cannot just run off with it. For more gadget goodness visit the Gadget Ninja. These are not the drones you're looking for. Had a chance to listen to Sonic Highways yet? What do you think?